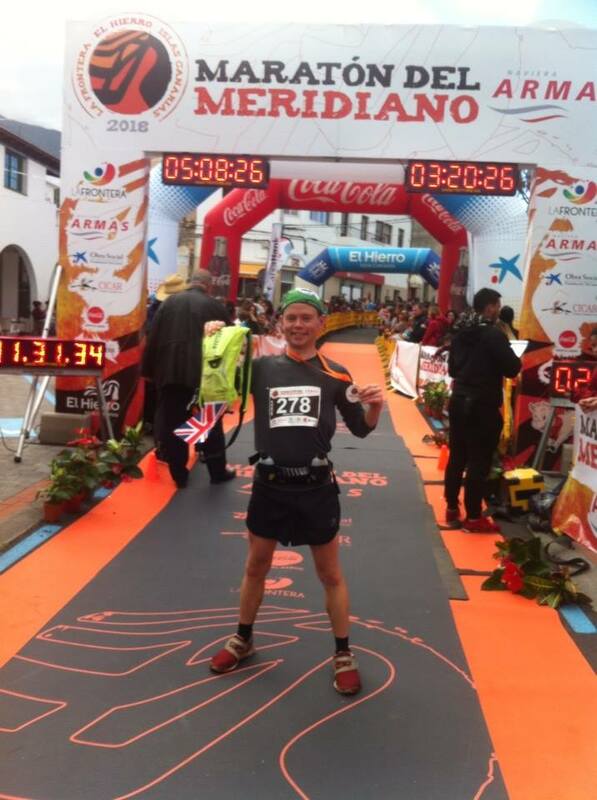 The Maraton del Meridiano – an eventful experience to say the least!!! Left my Airbnb place at 8.40 expecting a 45 min walk to get to the start. 5 minutes after setting off I was offered a lift by a passing camper van (the driver was also running) and I got to sit on the bed in the back accompanied by two yappy little dogs :). So I get to the start nice and early. Good atmosphere and there’s a DJ playing some good uplifting music. 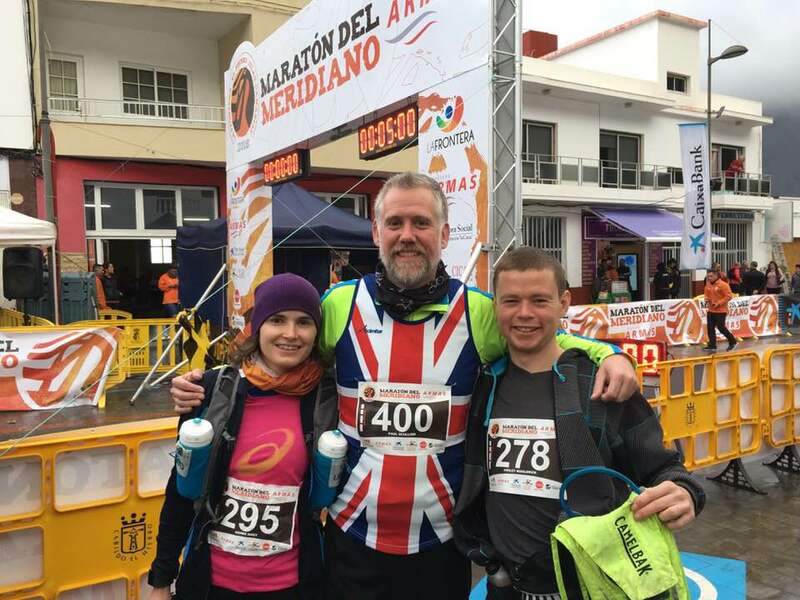 Then reunite with fellow Brits Paul and Agnes who I met in the queue for the bib collection yesterday afternoon. I then drop my main bag off (opted for running with the Camelbak with orange jacket in in case it got cold higher up). We set off on time at 10.00am (I had a flight to catch at 5.35pm so it was a race within a race with part 1 being get around the 42km and part 2 being find a taxi and get to the airport on time). 0.67 miles in everyone stopped and there was a significant delay of maybe 10 minutes before we got going again. Not sure what the delay was about but was just happy to get going again. Anyway it wasn’t long before the severe climbing started and everyone was reduced to a walk. All I could do was run/overtake where possible and hope that the waking wouldn’t last too long. ical single-track forest descent to negotiate – time to stay composed. Eventually the path led us back into Frontera (the main town where the race started/ended) and there was one last steep down before a final right turn down the main Street/finishing straight. The support was fantastic and I managed a decent finish. After crossing the line I immediately found a race official and asked him about me getting an official time despite losing my chip. He took me over to the timing guys and they showed me on the laptop that I had an official time – 4.59.18 :). It was about 3.15pm so I went to enquire about getting a taxi to the airport. I asked a guy in a MDM jacket – turns out he was a taxi driver and said he could get me to the airport for 4 euros and for me to come back at 4.00pm. Just enough time for a beer and to cheer some other runners across the line before jumping in the taxi with another runner and making our way to the airport. We arrived with an hour to spare – mission accomplished :). Would 100% recommend the MDM event. 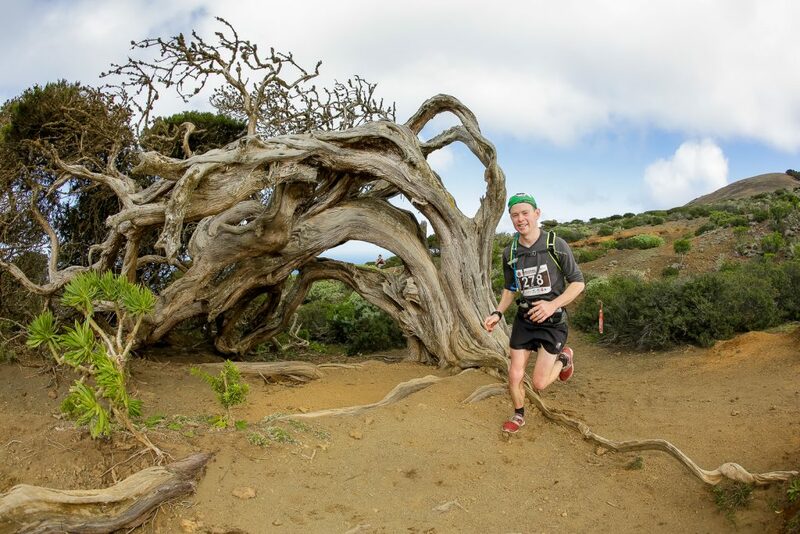 Tough but stunning course with constantly changing weather on the beautiful little island of El Hierro where the people are friendly and atmosphere good. The course was superbly marked and feed stations well stocked. The pasta party the night before was brilliant and the food at the end wasn’t bad either. May well do this again next year. 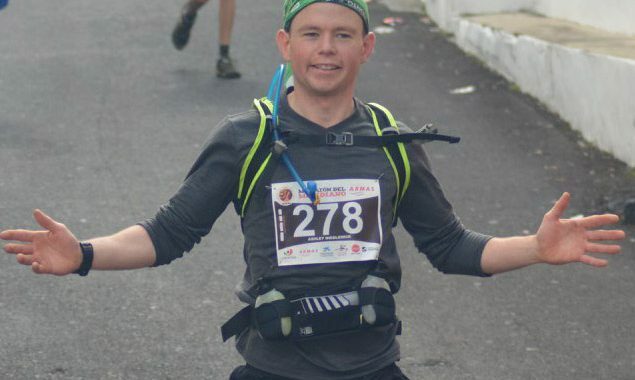 Posted in Jan-March 18, Race Reports, Roadrunners18.